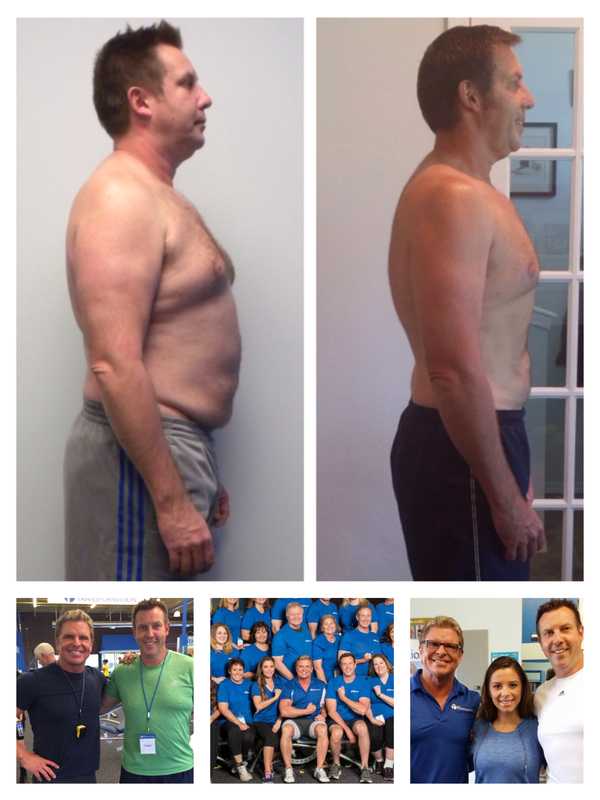 Get Bill Phillips’ FREE Transformation Program Today! Who wants to save $400 while I help you get in the best shape of your life? Quick News: I found out just 10 minutes ago that we can still make room for one more person to attend my fitness transformation Camp this weekend here at my Center in Colorado. Camp starts Friday morning at 9:00 and we go almost all day and evening Friday and Saturday, then we wrap up at noon on Sunday (October 10, 11, 12). Physicians come to our Camp to take their own health and fitness to the next level. Lawyers, Military Officers, Business Owners, Nurses, Professors… whole families have even attended Camp together. And our highly successful students have ranged in age from 14 to 82! You will meet some great people at Camp and have a lot of fun. But Camp is mostly about me working with you in person to teach you exactly what you need to know about working out, eating right, and how to stay motivated to achieve your most important health goals. Hundreds of people have come to my camps over the last three years and gone on to get in the best shape of their lives… they’ve lost the fat they needed to lose (from 25 to 150 lbs) and they have built up their muscles and strength. I have a last minute discount of $400 off our standard price of $1,495 that I can offer if you sign up today… but remember, I can only make room for one more person at this weekend’s camp. Over a thousand people have paid $1,495 to attend my Camps over the past three years but you can lock in your opportunity, TODAY ONLY, for just $1,095. I guarantee this will be the best investment in YOU that you will ever make. We have a couple spots open for our November 7, 8, 9 camp and I will give one person today who signs up for that camp a $400 discount too. Our Camp in December is fully booked and there are no Camps scheduled for 2015 due to a new online book and video project which is being launched at the beginning of the year. If you are serious about losing weight and getting healthy and need some real motivation, please decide now to change your life for the better. If not NOW, when? Unfortunately my Dad passed away 9 years ago—he was just over 60 and had so many more years of life ahead of him. My Dad was my business partner and my best friend. When I started the company MET-Rx, then EAS, Muscle Media, and Body-for-LIFE, my Dad was in my office every day telling jokes and giving me key insight, legal and business advice (he was a lawyer and had his MBA in his early 20’s even though he had three kids by the time he was just out of high school). His name was also Bill Phillips—his friends called him “BP” and I called him Dad. He never got too caught up in work and never really stressed out about it. To him being successful just meant he had enough money to pay the bills and enough time to relax and go fly fishing or go hiking often in the Colorado Rocky Mountains. Make no mistake; a great deal of the success I enjoyed in my previous companies was because of my Dad. He taught me how to work hard, work smart, how to push myself to reach meaningful goals… he taught me how to find the best rivers and streams to fly fish and how to appreciate and enjoy nature. He tried to help keep me humble and grounded during my most successful years at EAS but those lessons took me a little longer to learn and probably didn’t set in until after he was gone. My Dad was a great man who lived a simple, smart, unassuming life. I miss him very much, especially today. Yet I am very grateful for all the years we had and I know the best thing I can do to honor him is to move forward and live a good, productive, and balanced life. Knowing what it’s like to lose my Dad unexpectedly, and long before his time, gives me extra passion and determination to help other Fathers transform their health so their family doesn’t have to go through the pain and grief that comes with losing a loved one to a preventable disease. It’s sad but true: more than 3,000 Dads have already died this weekend from heart disease alone. Most of those deaths were preventable by a few basic lifestyle changes. For over thirty years I’ve been teaching men and women from all walks of life how to incorporate an intelligent and practical exercise, nutrition, and fitness program into their way of living. It’s not a diet, a fad, a silly gimmick like so much of what is out there on TV commercials and internet marketing schemes today. My method is based on a bedrock of scientific truth, medical research, and thousands of hours of real-word experience and application. The most up to date version of the program I teach at my Transformation Fitness and Research Center in Golden, Colorado is called “Health for LIFE” (it’s also the name of a new book I’m working on… think of it as Body-for-LIFE 3.0). It has already helped countless numbers of people lose the unhealthy bodyfat (from 25 lbs up to 150 lbs.) while gaining energy and muscle strength. But it’s not just the outward appearance that dramatically changes in our clients and students… the main benefit of the Health for LIFE plan is that you will very likely live longer — you’ll enjoy greater quality and quantity of life! Physicians even follow my program to reduce their own risk of heart disease, stroke, diabetes, and certain forms of cancer which are lifestyle related. Now of course, none of us have a guarantee that we will live through our 80’s and even longer. In my Father’s case, he contracted an incurable and rare form of lung disease (which went undetected and dormant for decades) from environmental toxin (not too dissimilar from asbestos) that he was exposed to working in a factory as a teenager. The important thing to realize is that even though there are no absolute guarantees in life, far too many Fathers are dying of illnesses that could be prevented with exercise and healthy eating. Please, if you have loved ones that depend on you, don’t wait until it’s too late to change your body and life. The best time to get well is before you get sick and that is the message I’ve dedicated my life to sharing. If you’re overweight, have unhealthy habits, if you’ve been procrastinating and putting off your efforts to get back on track with your health and fitness, please don’t wait any longer! Set a goal to lose 25 to 35 lbs. this summer while strengthening your muscles, improving your heart health, and cutting your risk of dying of a preventable illness in half. 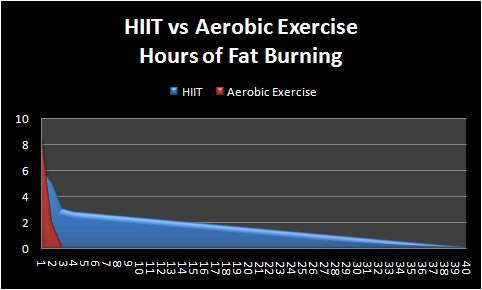 A half hour of exercise 5 days a week – a combination of strength training and aerobics – will produce excellent results if you stick with it. And the key to eating right, as I explained in my book Body-for-LIFE, is to eat a balance of quality protein foods, healthy carbohydrates, fruits and vegetables. Eat smaller meals more frequently and drink plenty of water throughout the day. Take your vitamins, Creatine, Omega-3’s and a quality protein supplement to help you get better health improvements faster. Connect with others who are making healthy changes in their lives and most of all, please realize that other people need you and love you and your family is counting on you to be there. You have to take care of yourself – it’s one of the most important things you can do for others (it’s not selfish but rather self-less!). If you’re a parent, you have a tremendous responsibility to live a healthy lifestyle. We want you around for many, many years… far into the future! It does take some work to be healthy but the rewards are more than worth it.